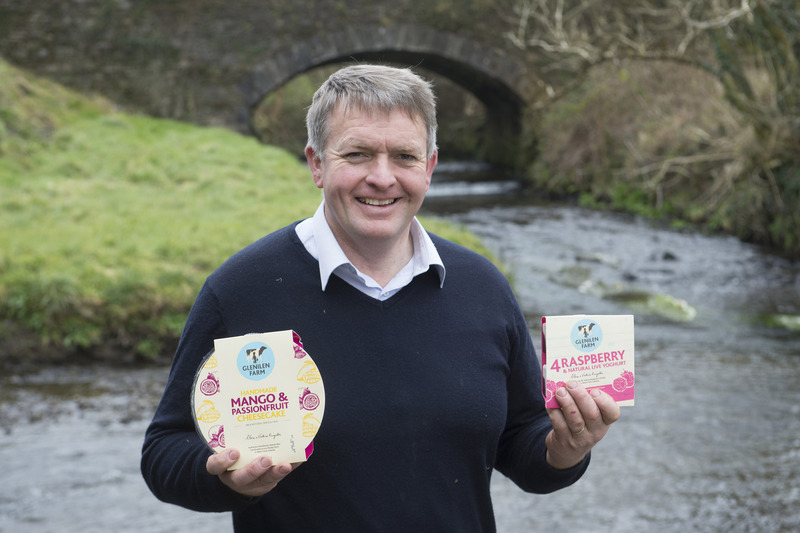 A “farmer to the core”, Alan Kingston started his food business Glenilen Farm when his wife Valerie began using milk from the family farm in Drimoleague, west Cork, to make cheesecakes for local farmers’ markets in 1997. They started out as sole traders and, by 2006, had registered as a limited company. 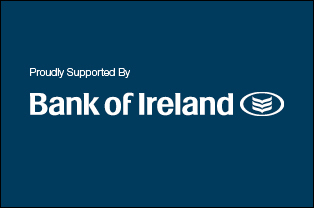 By 2015 the business had a turnover in excess of €4 million, employed 32 full-time and six part-time staff. 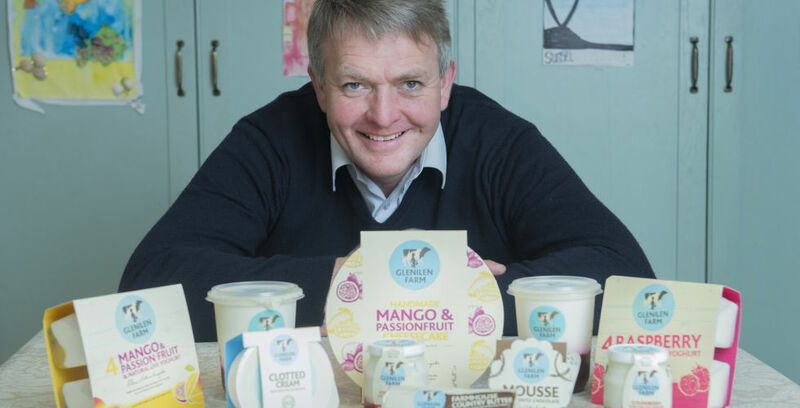 Its range of dairy-based products, including cheesecakes, yoghurts and butter, are sold throughout Ireland. It has been selling in the UK since 2011 and by 2015, that market accounted for 16% of its revenues. Our bullseye is ‘authentic farmhouse taste’. Everything else radiates from that. Our products are about authenticity, quality and consistency, and making sure our products match what we say about them on the pack. The big challenge for a company like ours is being able to scale up from the kitchen table without compromising on quality. We’ve managed to do that. We learned an important lesson when we first entered the UK market. We were supposed to go into 70 stores in one multiple but all of a sudden we were in 900 and it was just too hard to cope. We managed it but capacity-wise it just wasn’t sustainable for us, and after four months we lost the listing. That was a few years back. Now it’s easier because the big multiples will take you on in a small way, and walk you up through the volumes. Learn from them. What happened to us when we first entered the UK market never happened to us again. Afterwards, we realised that what you’re offering has to work for both the retailer and for you. I know a lot of small producers are very wary of big retailers but as we learned, you’ve got to recognise that they’ve got all these systems and structures in place. There’s targets to meet per square metre and all the rest of it. You’ve got to be able to work within that. Don’t be afraid to try. If you don’t try, how can you ever succeed? There has to be a little risk in building a business, just as there is risk in farming. It’s part of it. I’m comfortable with risk, and I think one of the ways you manage it is by having a good team around you. Val is more risk-averse, and I think the teamwork between the two of us, as a husband and wife team, works really well on that score. Growing branded lines. Ours is a branded product at a time when there’s a huge push from retailers for private label products. But that’s just something we have to deal with. 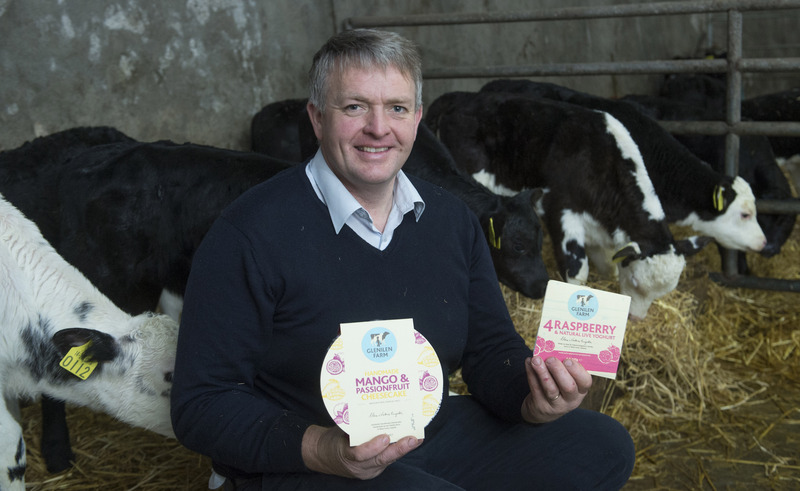 It would be very tempting to go the private label route, and I’d never say never, but what we want to do is build our own branded product. We’re very passionate about the authenticity of what we do, and we want our name on our product. 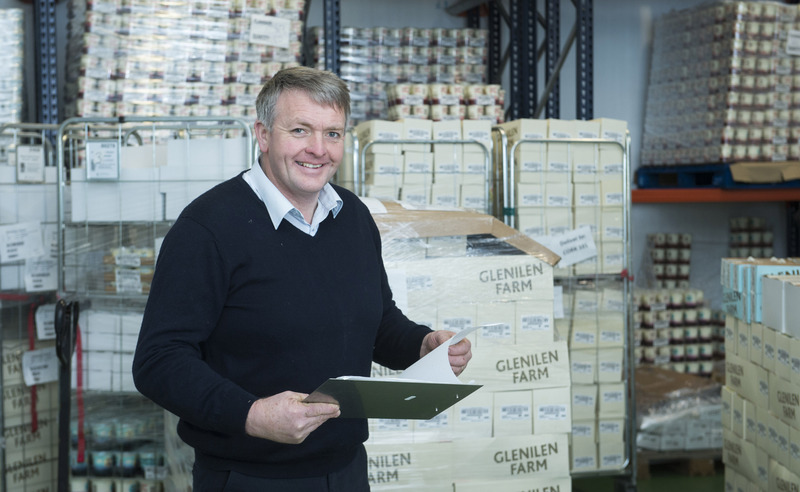 That this is a family business matters more to us than the size of our turnover. What kind of marketing has worked best for you? We have only a tiny budget for marketing so we can’t afford the normal advertising routes. What works best for us are price promotions that encourage people to try the product, as well as in-store tastings. Here in west Cork I’m surrounded by food heroes, in particular the local cheesemakers who blazed a trail for the rest of us. They have developed a food culture here that can’t be matched anywhere. And also, of course, Val. She’s the real brains behind the business. With the beautiful walkways around Drimoleague, we enjoy walking and a bit of cycling. Our faith is also very important to us. We’ll find time every morning to read a little from the Bible. Our relationship with God is a central part of our life. I can’t say there’s anything I would do differently. We’ve learned all along the way. Learn to delegate. Take on good people and then trust them to do a good job. Very many small businesses find it hard to attract good people. We took on really good people before we could really afford them, and now we couldn’t afford to be without them. In many ways, attracting the team we have has been our greatest achievement. It’s not all about offering money either, it’s about finding people who really get what you’re doing and want to join in and be a part of it. I remember hearing Ben Dunne once said: “Give the people what they want and you’ll be grand. But sometimes you need to tell the people what they want.” It’s not perfect, but I thought it made a lot of sense. To learn more, check out the Glenilen Farm website.